More than 500 athletes were in the island of Santa Catarina on Sunday, December 2, for another edition of the Challenge Florianópolis, which included Sprint and Half distances, in a relaxed event with the presence of the entire family of athletes. Unlike previous years, athletes were treated to a quiet, fast and wonderful day at Magic Island. With this, the athletes were able to perform their best in what was, for many, the last competition of the season. The main event, which involved 1,900m of swimming, 90km of cycling and 21km of running, were domainated by Gaúcho Walter Tlaija and Carolina Bilato from São Paulo. Very strong in all three modalities, they crossed the line with a large advantage over the other competitors. In the men’s, second place was with Emmanuel Mauro, followed by Bruno Berger. Among the women, Juana Abdalla occupied the second place in the podium and Tatiane Hediger the third. 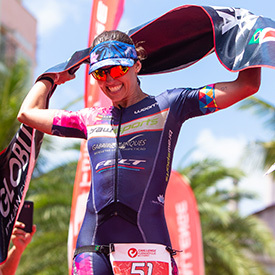 The Sprint distance event – consisting of 750m of swimming, 20km of cycling and 5km of running – ended with Luciano Montone and Juliete Prado at the top of the podium. Bruna Stolf and Augusto Gomes won the second place, Paula Schmitt and Leonardo Bibow took third places. 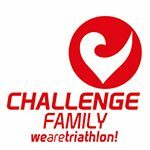 The Santa Catarina stage ended the year of 2018 for the Challenge Family races in Brazil. The South American series also included the Challenge Cerrado, in April, as well as the first edition of Challenge Salvador, in October.